Founded in 1895 by Daniel Swarovski, glass-cutter and jeweler of Bohemian origin, the Swarovski International Holdings, is an Austrian company specializing in the creation and design of glass crystals. The famous brand logo in the shape of a swan is celebrating its 120th birthday, and the brand finds itself in great shape on this important anniversary: 2,560 stores in over 170 countries and a turnover in 2014 that exceeded 2 billion Euros. In addition to impressive figures, Swarovski stands out for its strong philanthropic spirit: in 2013 they created the Swarovski Foundation (chaired by Nadja Swarovski) with the aim of promoting and supporting initiatives and charities operating in three areas: artistic, social and environmental. 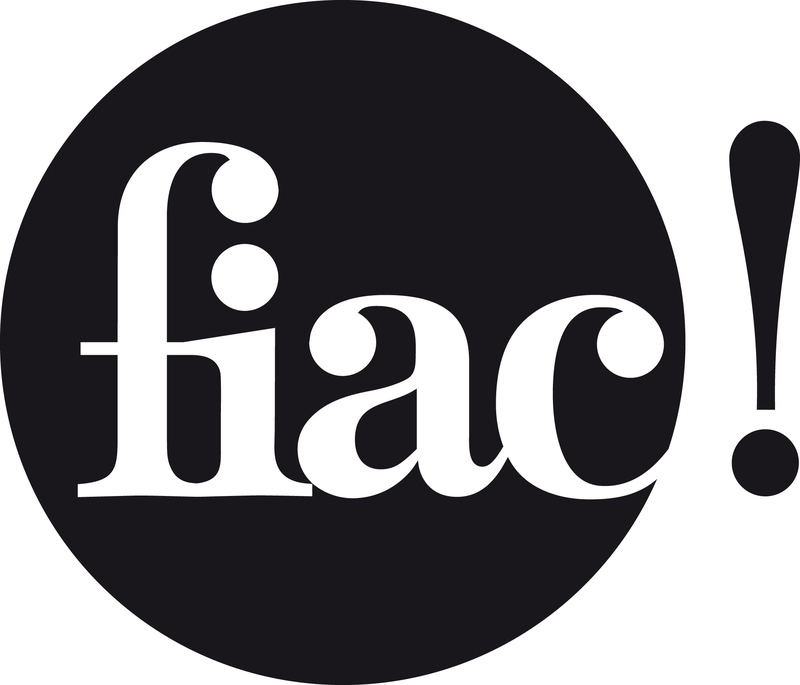 As part of its commitment to the arts, Swarovski presented a new work at the FIAC (International Contemporary Art Fair) 2015 in Paris and gave Wakapedia stalwarts SaraWaka and Federica an exciting opportunity to get to know its creator via a whirlwind trip to Paris. An amazing welcome awaited them: a wonderful guided tour of the Swarovski showroom where you can view past and present collections. And then they were housed in a beautiful hotel which – coincidently – sparkled with crystal decorations. Soft bathrobes, a royal bed, toast with a glass of champagne… SaraWaka fully felt like a princess, with crystals glistening all about, her soul spiraling in frozen fractals all around… if she could have only swapped her companion Federica for a talking snowman then she might have broken out into song – as it was she just found herself humming “ The cold never bothered me anyway.” But the two of them were truly the Waka Queens of Swarovski for a night! The following day they went to the FIAC, electrified by the chance to closely observe a project supported by Swarovski Foundation. They had researched the work extensively, but the title itself – “Pay No Attention to the Man Behind the Curtain” – had piqued their curiosity. Who doesn’t want to know what’s behind the curtain, no?! 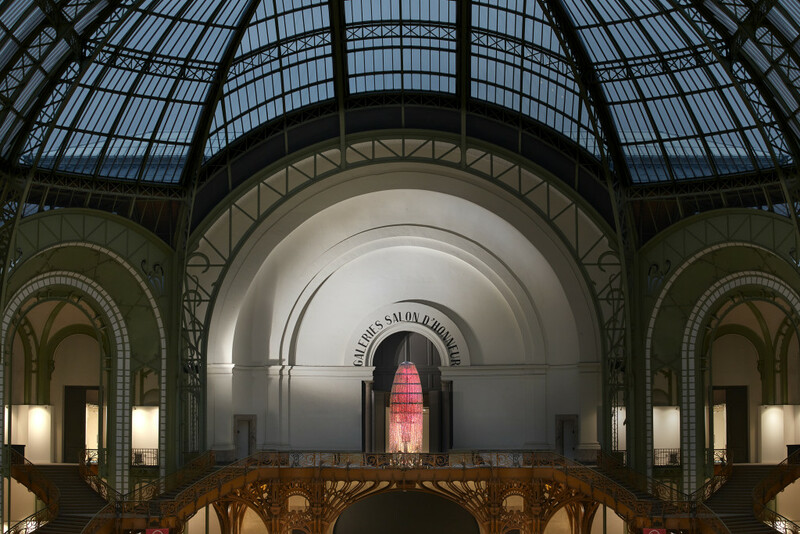 This surprising installation, perched on the Balcon d’Honneur of the Grand Palais, is a creation of the American artist Wu Tsang. It was selected by Nadja Swarovski and the Director of FIAC Jennifer Flay for the launch of the “Swarovski SeriesCommission“, a series of collaborations to promote young talented artists using crystals as a creative medium. 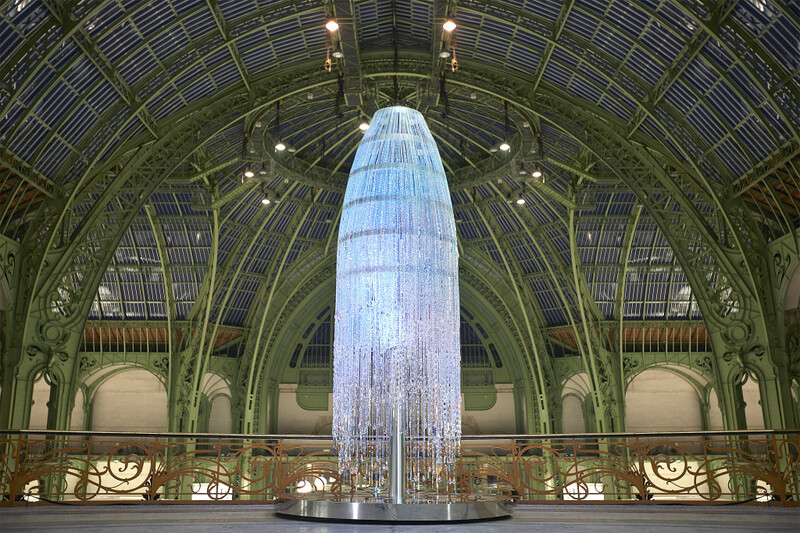 Inspired by the imagery of The Wizard of Oz and experiments on the acoustics of the crystal, this installation stands 5.5 meters high and, with over 1 million LEDs consisting of 235,000 crystals, it weighs one metric tonne! Absolutely mind-blowing! Wakapedia had the privilege of meeting “the person behind the artwork” a.k.a. 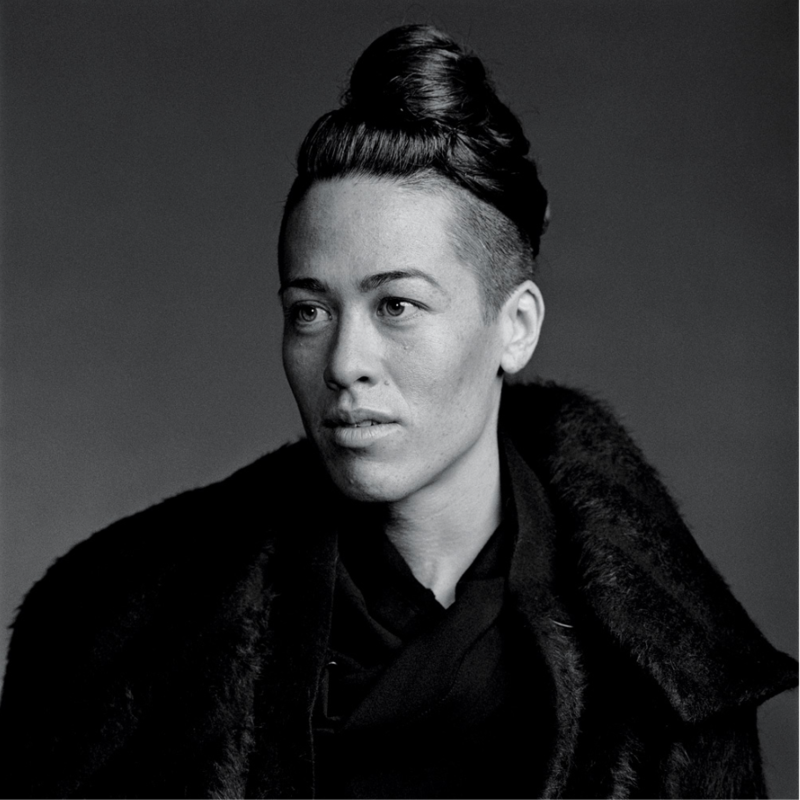 the artist Wu Tsang ! The Asian name and almond-shaped eyes meant SaraWaka felt right at home – the perfect environment to ask a few questions… Right after an interesting presentation of the brand as well as its Foundation! Does a day get better than this? Now – The Swarovski brand is a complciated one; not in a bad way – just that they do so much. 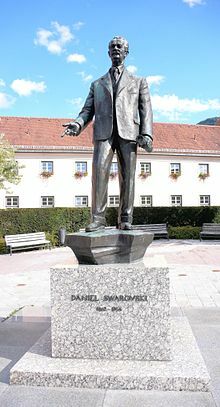 Much stems from the philosophy of the father of the company, Mr. Daniel Swarovski. He had a philanthropic spirit, exhibited in how caring he was towards his employees to the extent that, for example, his wife was cooked lunch for the whole office! The thinking of Daniel Swarovski was that in order for a company to work well, its employees should feel good. This concept was then extended outside the company through numerous philanthropic campaigns, with special attention to women. For example, there was the campaign “Pink Hope” in support of the Pink Ribbon campaign for the prevention of breast cancer, promoted by the Italian League for the Fight against Cancer. Fast forward, fast forward, fast forward to 2012! 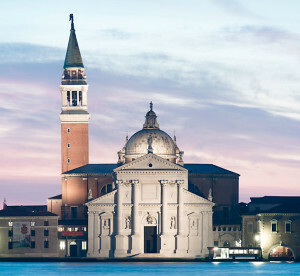 In 2012, the company realized that it was promoting several initiatives and projects in numerous countries. Then, the following year it was decided to found a “Mother ship” with the aim to support philanthropic initiatives in accordance with a comprehensive and coordinated program. And so was born the Swarovski Foundation, which bases its mission on three pillars: well-being; protection of natural resources; and the support of artistic creation. 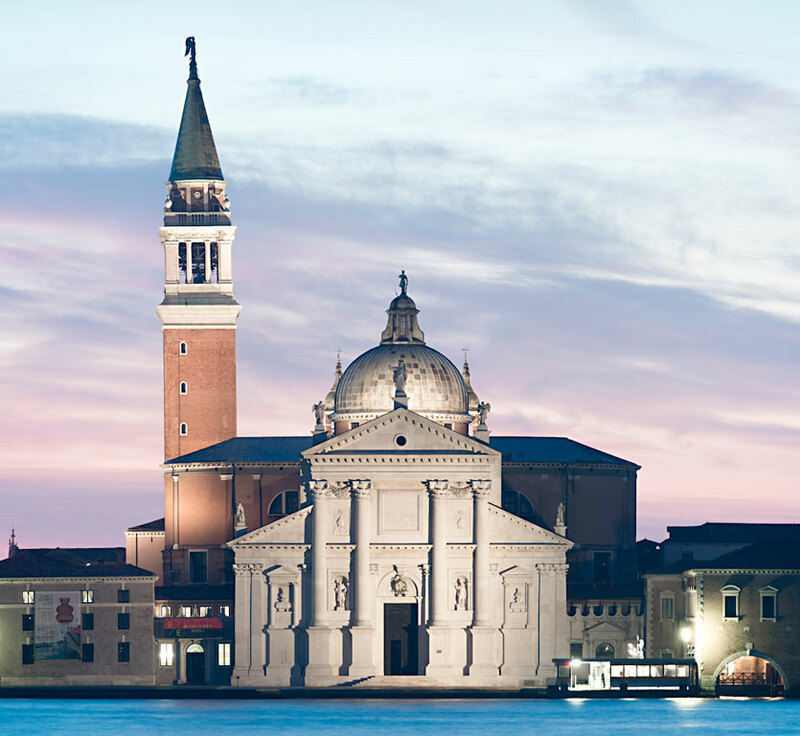 The Foundation’s philanthropy in the arts began with a project of its own in Italy [Ed: the restoration of the Basilica of San Giorgio Maggiore in Venice] and currently has 34 ongoing programs worldwide. For example, here in Paris, the Swarovski Foundation has a permanent collaboration with the Palais de Tokyo (Ed: one for history buffs: the Palais de Tokyo was built with funding from Swarovski itself ergo they are a founding partner), confirming its support to contemporary creation. The Foundation also works towards environmental sustainability, again through the arts. An example of this is the funding if a film by time-lapse artist James Balog, presented in Miami Basel, showing the melting of glaciers to support awareness of the global warming. Swarovski also put into place the Swarovski Waterschool in different parts of the world (Ed: Amazon, Uganda, Congo, etc ). This is a program to educate the poorest communities to use water more intelligently and efficiently to make it an instrument of work and development. So complicated, BUT so interesting!!! The perfect primer for the interview itself. Sara Waka: Hello! Wu-san! Hold on… are you part-Asian? Sara Waka: No wonder I felt so close to you! 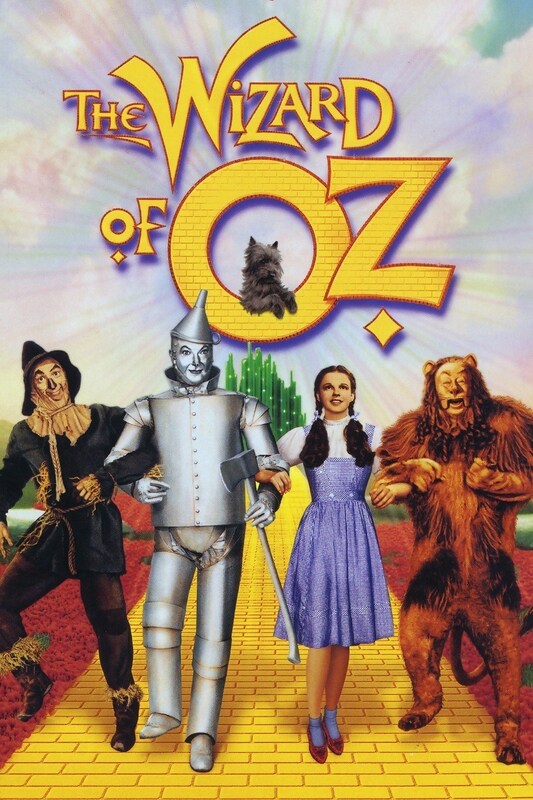 Now, on to the questions: I hear your work is inspired by “The Wizard of Oz”? Wu: That is correct. The work is inspired by the “The Wizard of Oz”, a film that played an important role for me growing up, visually, aesthetically and with its iconic story and characters – most importantly the wizard himself. Swarovski himself supplied Dorothy’s iconic ruby slippers by the way. The piece is really a dream come true for me, and it is truly a culmination of extensive research and my background in performance art. It is a truly iconic film that casts a shadow over culture today. The Wizard is a tyrant, a booming voice full of flames and fury, but in reality an illusion of smoke and mirrors; an illusion and a metaphor that I find very relevant to today and the way institutions of power operate in the modern world and perhaps how they can be exposed as well. Sara Waka: Interesting! Your sculptural light installation is stunning. It towers on the Balcon d’Honneur of the Grand Palais as if the Wizard himself is granting an audience to the viewers below. So, who is actually behind the curtain? Wu: I think the man behind the curtain could be all of us. One thing that I was very aware of is that Frank Baum who wrote The Wizard of Oz worked in advertising and the same year that he published the novel, he also published a book called “The Art of Window-Dressing”. He was obsessed with how consumer desire worked. 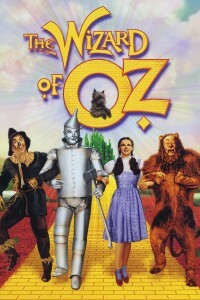 Some people have speculated that The Wizard of Oz is actually a parable driven by his ideas on consumerism. I wanted to be put some reference to that history as well. I do a lot of research, but the work must speak for itself. I don’t mind if viewers do not understand all the layers behind the piece, as long as they know there is a complex meaning behind it. Sara Waka: I do not know how to thank you, Wu! Today you have given me so much! I feel a little like I am in the story of the Wizard of Oz, where the Scarecrow, the Tin Man and the Cowardly Lion join Dorothy hoping to receive what they are lacking (respectively a brain, a heart and courage) – I have received the insight I was looking for; the emotion and the courage to look beyond the surface of things. I understand who is behind the curtain! A young artist with magical powers! Wu: I feel honored to have seen you transform, little Japanese girl!